The amazing Alan Turing. His story is truly inspirational. Pride is a film inspired by an extraordinary true story. It’s the summer of 1984. Margaret Thatcher is in power and the National Union of Mineworkers is on strike, prompting a London-based group of gay and lesbian activists to raise money to support the strikers’ families. Initially rebuffed by the Union, the group identifies a tiny mining village in Wales and sets off to make their donation in person. As the strike drags on, the two groups discover that standing together makes for the strongest union of all. 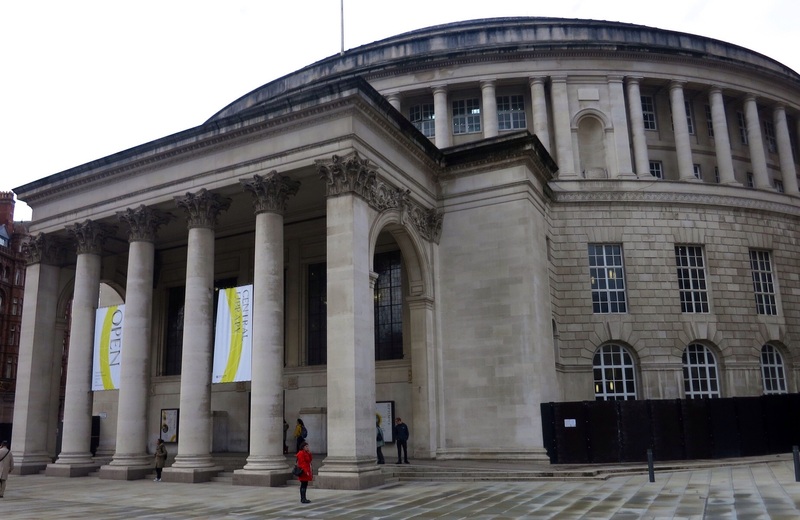 We saw the film in early October 2014 in Manchester and we were moved and entertained by this story. The actions of a few reaching out to others in need, regardless of their beliefs, was truly amazing. Today in Britain and throughout the world many of us have benefited from these 1984 activists, with laws being changed as a consequence of their resilience and determination. It was the winner of the prestigious Queen Palm Award at the 2014 Cannes Film Festival and whether you see Pride now or in ten years, it is a defining story that will stand the test of time. Main Cast: Andrew Scott, Bill Nighy, George MacKay, Dominic West, Imelda Staunton, Ben Schnetzer and Joe Gilgun. 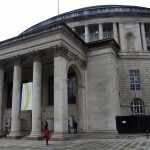 We went to the AMC cinema complex in Deansgate which is a couple of stops away from Picadilly Gardens on the light rail link. Just a touch of trivia: Have you ever wondered where the Apple logo of the half eaten apple came from, or the rainbow insignia for that matter? 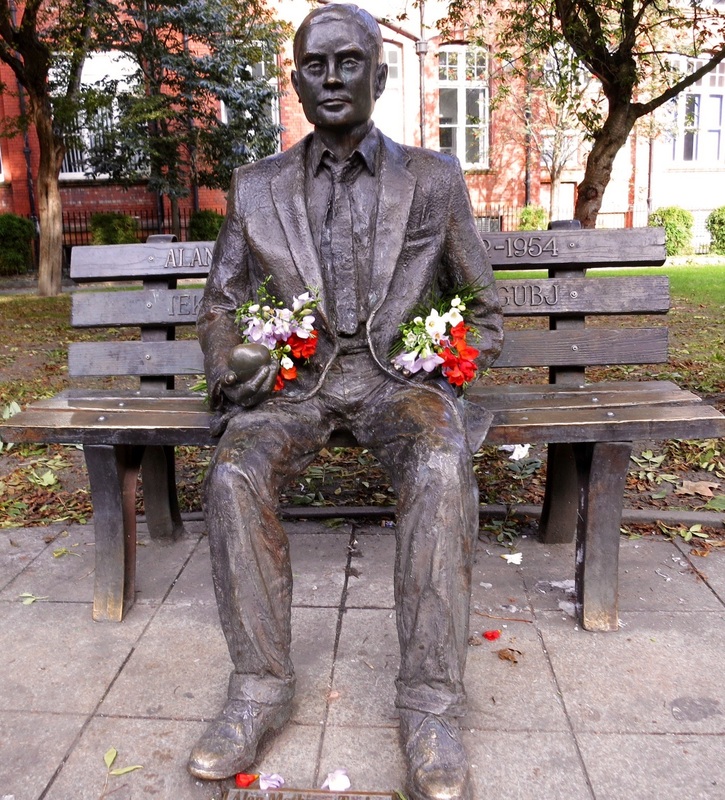 Was it a ‘tip of the hat’ to Alan Turing who was such an inspiration to the technological fraternity? Who knows? 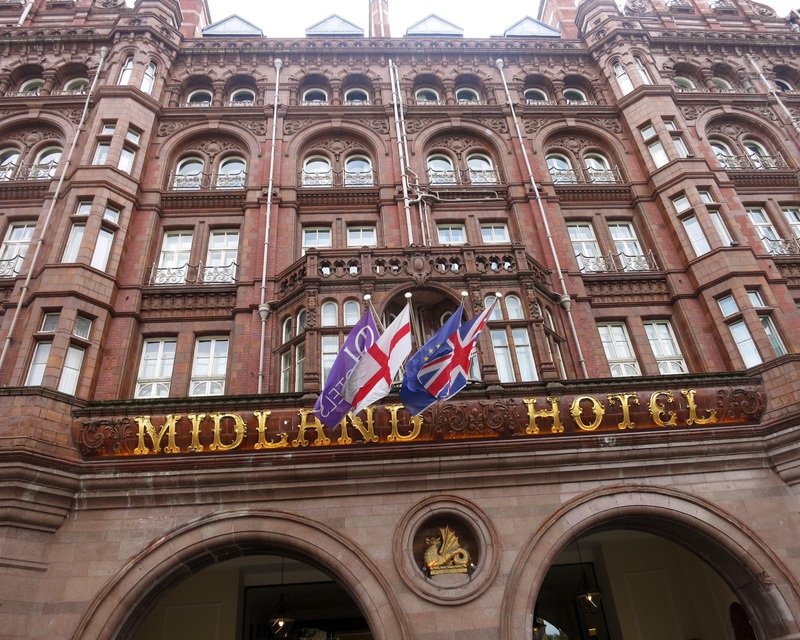 The Midland Hotel is an iconic building for many reasons. The interactive displays at the new library have to be seen to be believed. 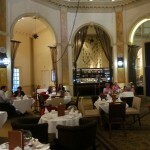 Have lunch or a drink in the Octagon Lounge on the ground floor of the Midland Hotel. 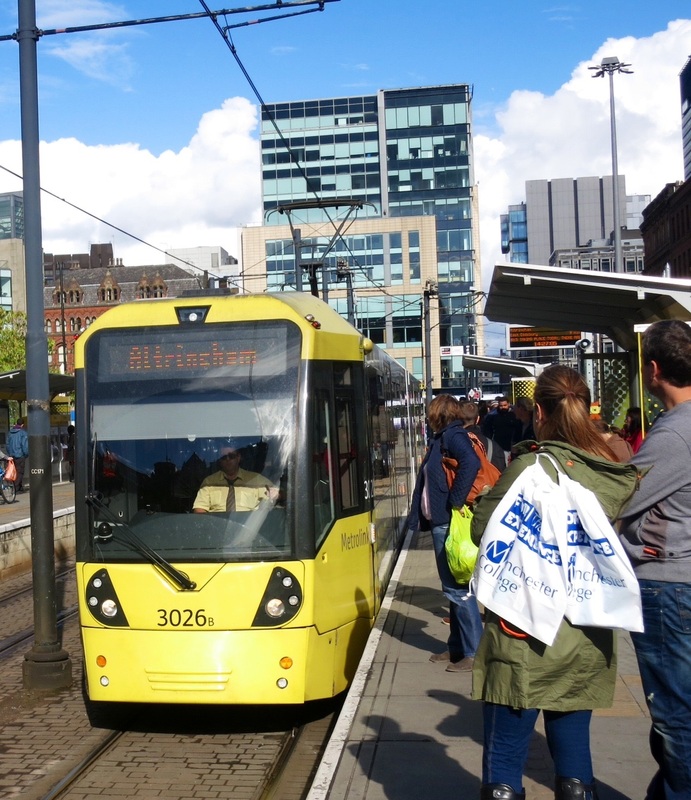 The Metrolink light rail and mini buses will get you around the city with ease. 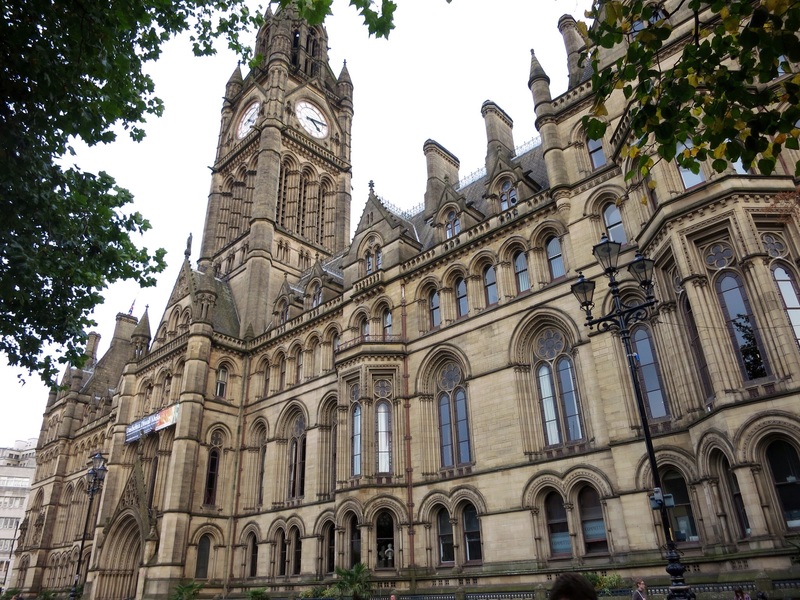 The imposing facade of the Manchester Town Hall building with its Gothic architecture. The Thistle Hotel is in a perfect location in Portland Street near Picadilly Gardens. The Old Wellington is a great choice for a pub lunch. 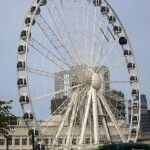 Manchester is a fun, friendly, lively city and visitors are made to feel very welcome. 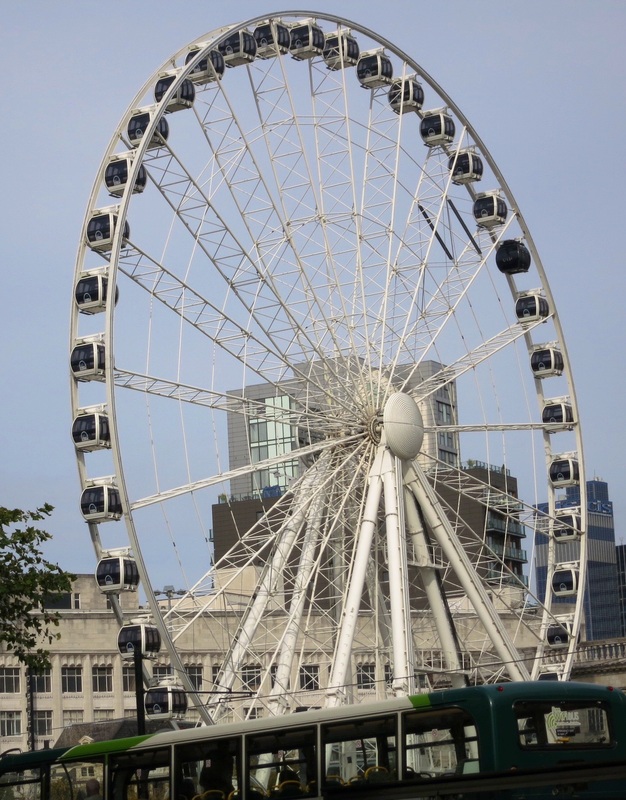 Catch the train from the airport to Piccadilly station and pay only £4 to get to the centre of Manchester. Visit the Tourist Information Centre in Portland Road for an excellent information service. Free mini Metro buses 1,2,3 travel around the city all day. 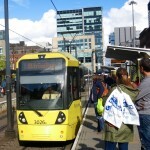 Take the light rail (Metrolink) all over town. We bought a weekend travel card for £5.80 which gave us unlimited travel all weekend, beginning on Friday afternoon (6pm) until the end of service Sunday. We did the city bus tour with a qualified live guide. It takes about two hours and is a fantastic way to become acquainted with this beautiful city. (About £15 each). Have a cocktail on the 23rd floor of the Hilton Hotel for the best views of Manchester. 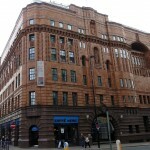 We stayed at the Thistle Hotel on Portland St which was very central and close to the gay bars. The beds are to die for but the rooms are quite small. 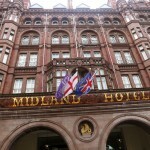 The location is the best part about this hotel.Canal Street is the centre of the gay village in Manchester. 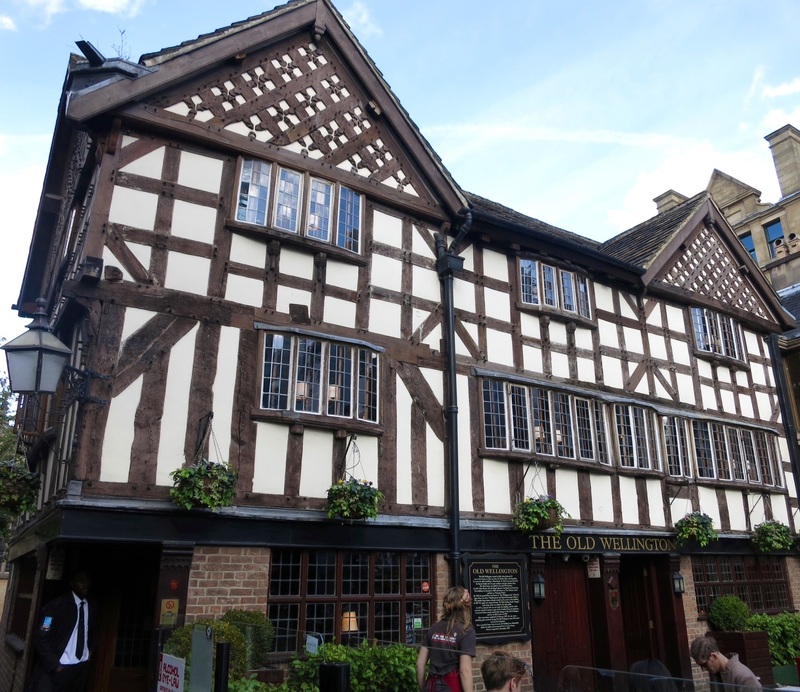 The Molly House, Taurus Bar and The Eagle are bars we can recommend.we can also recommend a meal at the Velvet restaurant. We ate in a Chinatown at The New Emperor in 52 George St . The braised duck with vegetables was outstanding. There are many fantastic restaurants to try in Manchester’s Chinatown. On our last night we found a Thai restaurant called Koh Samui in Chinatown (16 Princess Street). Having been to Thailand many times we can highly recommend this restaurant as absolutely authentic Thai food. Simply delicious and very affordable. You can see the home of Manchester United football team, the richest football team in the world and the team with which David Beckham first played. 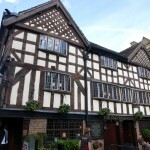 The Britons Protection, The Ox and Noble and The Old Wellington are highly recommended for pub lunches. 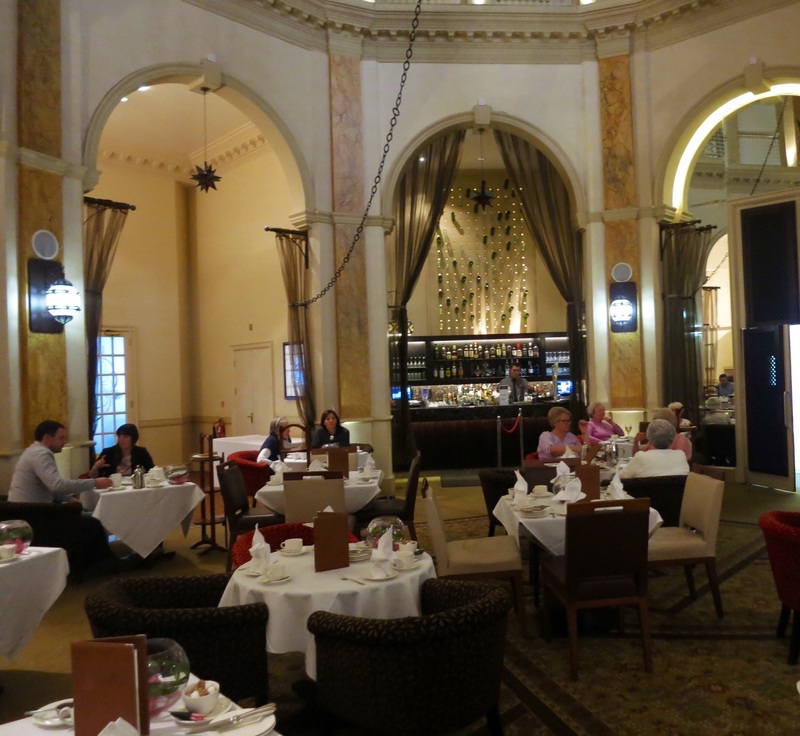 We tried the Old Wellington and the food, service and hospitality were simply outstanding. 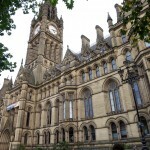 The Manchester Town Hall, in Gothic style, is a must see and don’t miss a visit to the newly opened city library. The interactive displays on the ground floor are amazing. Caffè Nero outlets are everywhere in the city and have great coffee. For breakfast they serve porridge with a choice of berry compote or maple syrup. Both are delicious, especially on a cold, grey Manchester morning. We also liked their choice of baguettes. The service is fast, efficient and friendly, at a reasonable price. 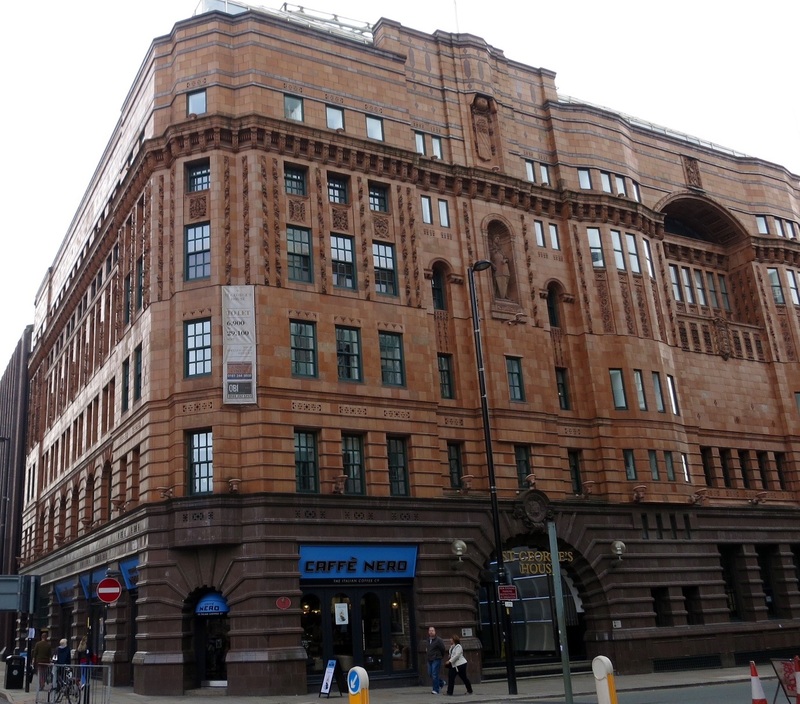 Shopping is great with some upmarket stores like Harvey Nicks and Selfridges and mid-range H&M. Try Market Street for a wide range of fashion shops.